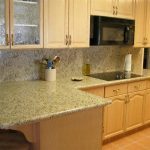 A 4” backsplash gives an extension of your countertop and helps to tie your counter into the rest of the design scheme of your kitchen. 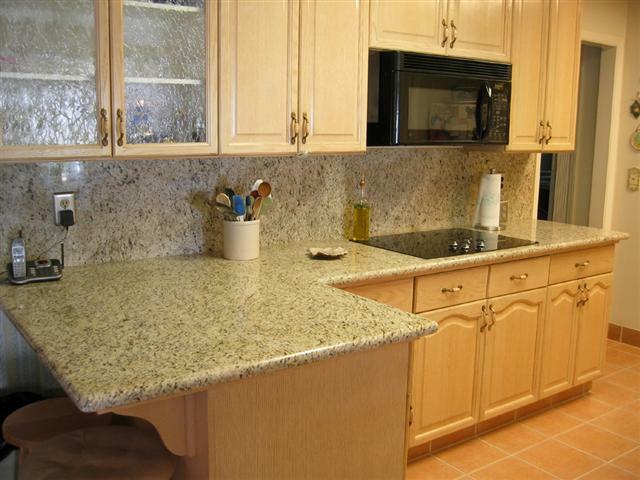 Backsplashes are the same color and usually the same width as your countertop, with an eased edge at the top. 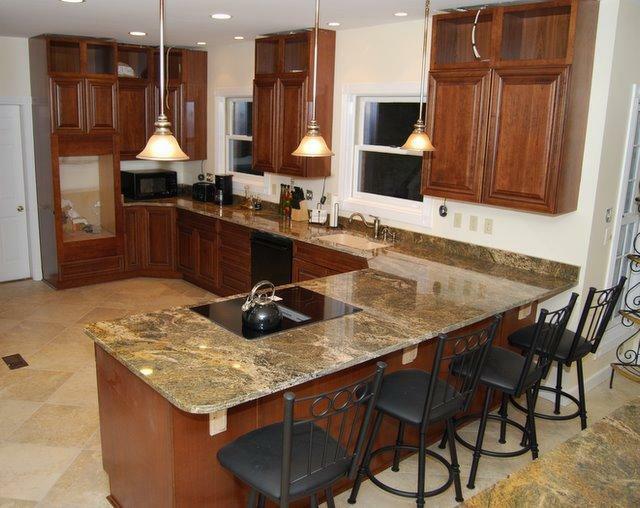 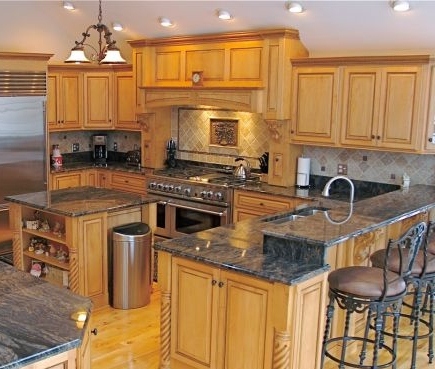 A full granite backsplash, though more costly, gives your kitchen a more luxurious appearance. 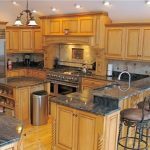 Because a full backsplash done in a dark stone can make your kitchen feel small and enclosed, it’s recommended you opt for a lighter stone if you are considering a full granite backslash. 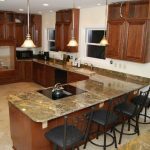 Where a full tile backsplash butts directly against the top of your countertop, a tile backsplash combined with a 4” granite back splash gives a slight buffer against the stone, as well as creating a unique look for your kitchen. 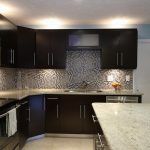 You get the same look as a standard 4” back splash, but with all the design options of full tile. 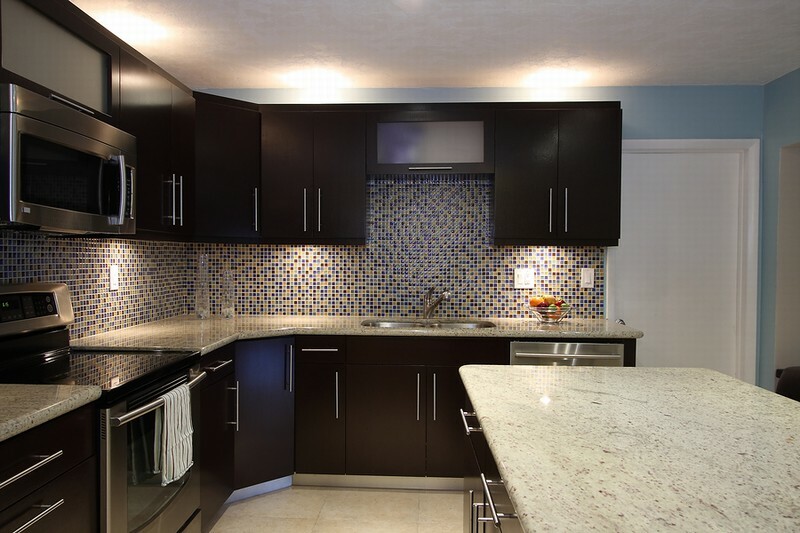 A full tile backsplash gives you the most design variety. 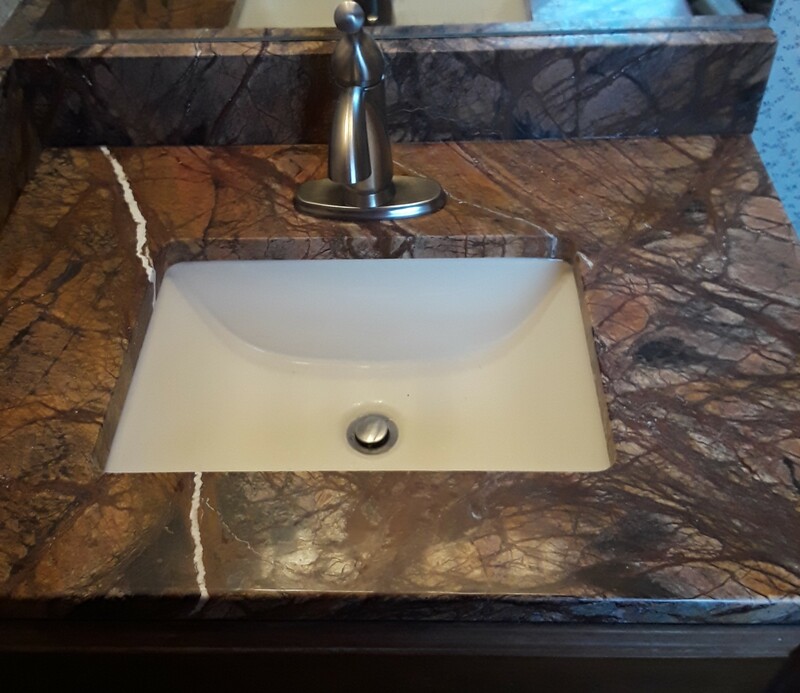 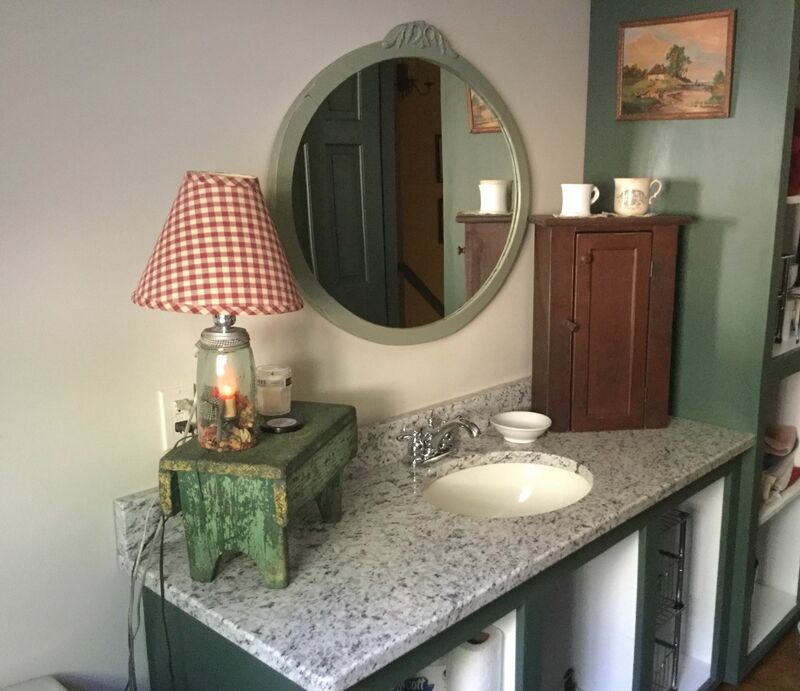 Any size, color, and material of stone can be used to create unique patterns for the space in between your countertop and upper cabinets. 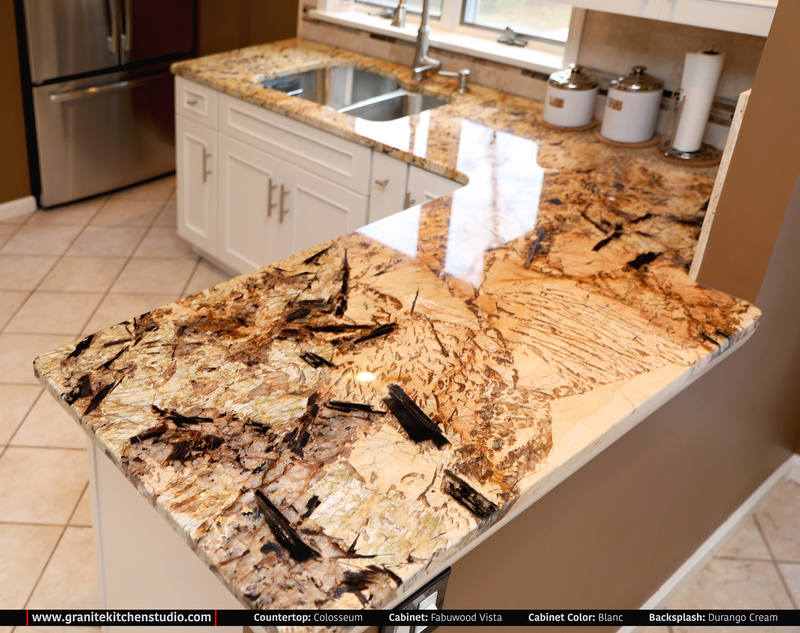 Tile patterns can give a very rustic, homey look to a kitchen—or give a sleek modern finish, depending on the tile choice.